We are compiling a library of pre-packaged market and consumer intelligence reports for the Food Industry. We are also able to create customised intelligence reports based on your specific requirements to provide actionable information on a specific: country, market or consumer segment. 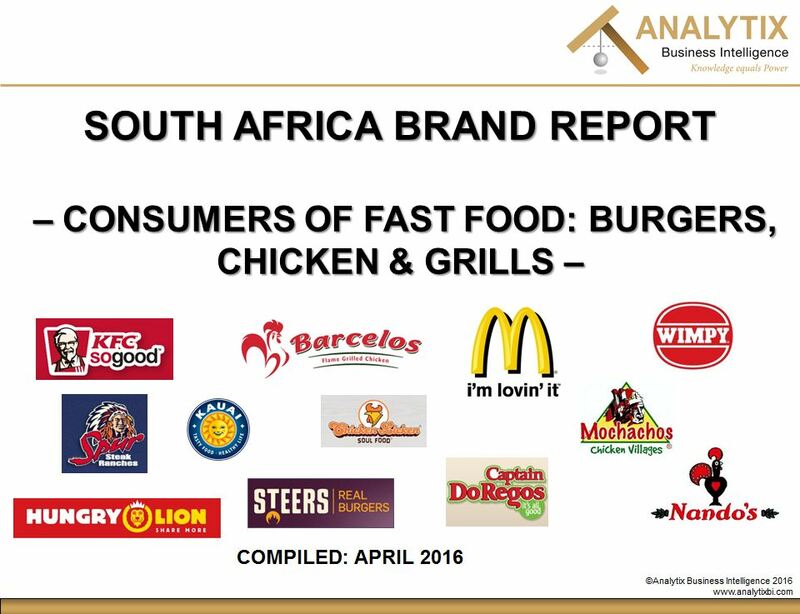 This comprehensive report examines consumers of Burgers, Chicken and Grills Fast Food brands in South African: Global and South African market overview, Usage and brand trends (2011-2015) with consumer forecasts for 2015-2020, Geo-demographic trends among consumers (2011-2015), Detailed geo-demographic brand profile and brand penetration analysis, Cell phone, Internet, Lifestyle and media consumption. 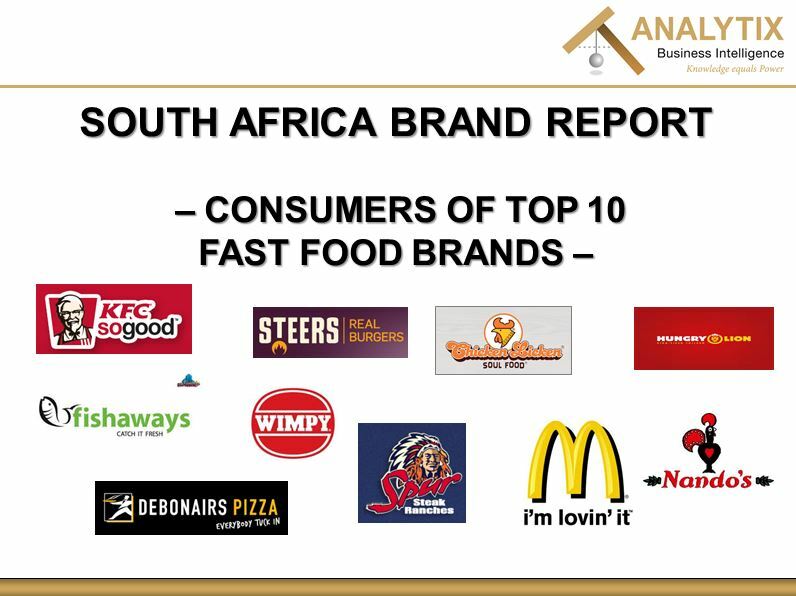 This comprehensive report examines consumers of the Top 10 Fast Food brands in South Africa: Profile of the Top 10 South African Fast Food brands; Global and regional Fast Food trends; Consumption and brand trends (2011-2015) with consumer forecasts (2016-2020), Amount spent at last Fast Food outlet visited (2011-2015); Geo-demographics trends among Fast Food consumers (2011-2015); Detailed geo-demographic profile and brand penetration analysis and Cell phone and Internet usage. 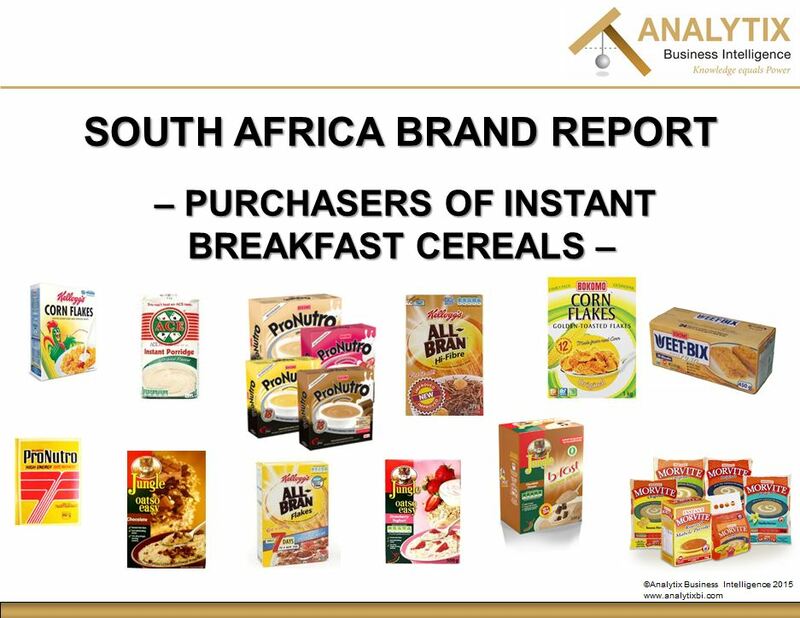 This comprehensive report examines South African purchasers of Instant Breakfast Cereals: Global and South African market overview purchasing and brand trends (2010-2014) with purchaser forecasts for 2015-2019, Geo-demographic trends among purchasers compared to the total adult population (2010-2014), Detailed geo-demographic brand profile and brand penetration analysis, Cellphone and Internet usage and Shopping patterns. 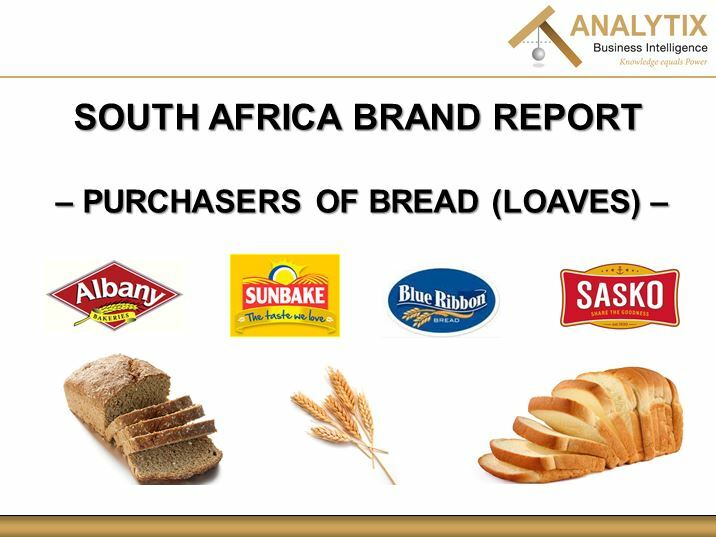 This comprehensive report examines South African purchasers of Bread: Global and South African market overview purchasing and brand trends (2011-2015) with purchaser forecasts for 2016-2020, Geo-demographic trends among purchasers compared to the total adult population (2011-2015), Detailed geo-demographic brand profile and brand penetration analysis, Cell phone and Internet usage, and Shopping patterns (2015). 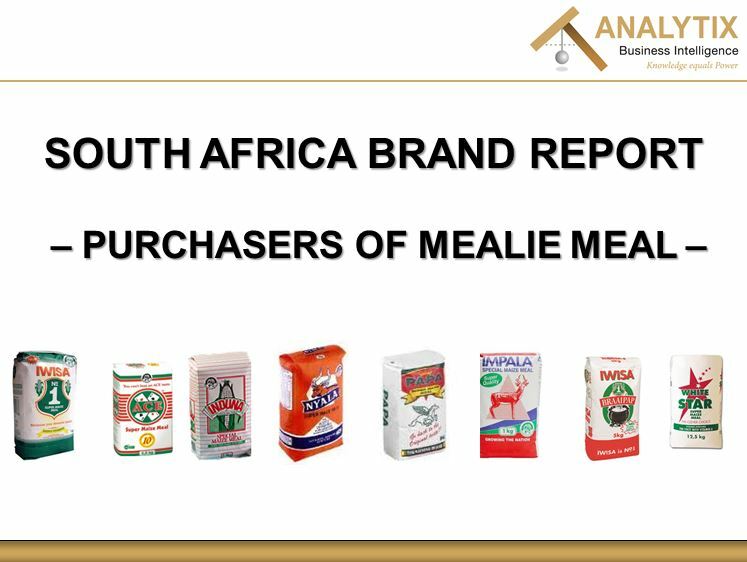 This comprehensive report examines South African purchasers of Mealie Meal: Global and South African market overview, purchasing and brand trends (2011-2015) with purchaser forecasts for 2016-2020, Geo-demographic trends among purchasers compared to the total adult population (2011-2015), Detailed geo-demographic brand profile and brand penetration analysis, Cell phone and Internet usage, and shopping patterns. 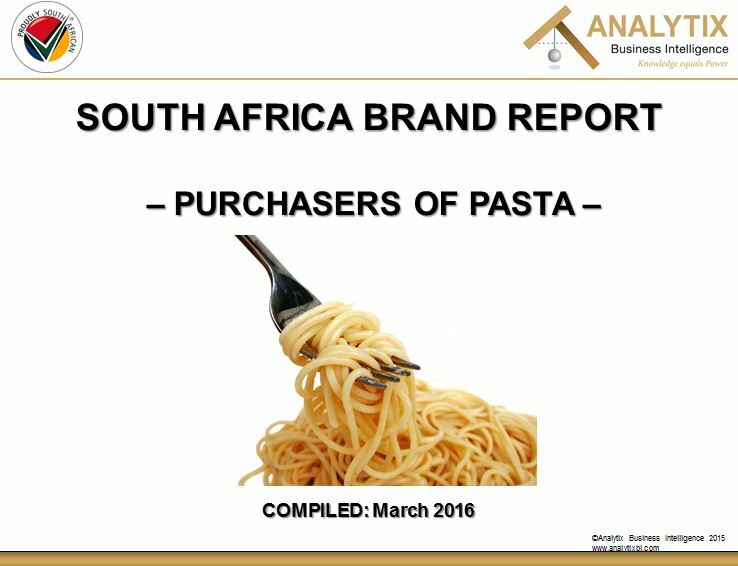 This comprehensive report examines South African purchasers of Pasta: Global and South African market overview, purchasing trends (2011-2015) with a purchaser forecast for 2016-2020, Geo-demographic trends among purchasers compared to the total adult population (2011-2015), Detailed geo-demographic brand profile and brand penetration analysis, Cellphone and Internet usage, and Shopping patterns. 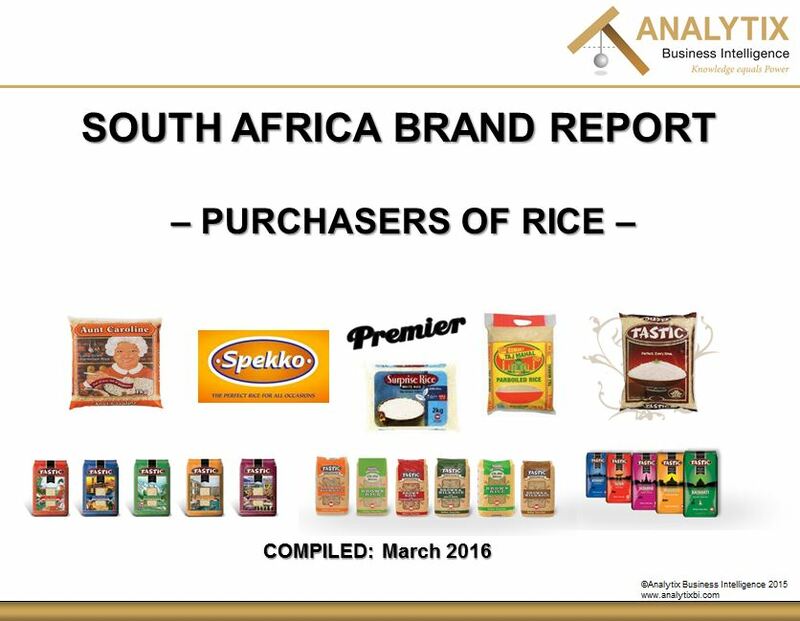 This comprehensive report examines South African purchasers of Rice: Global and South African market overview, purchasing trends (2011-2015) with a purchaser forecast for 2015-2020, Geo-demographic trends among purchasers compared to the total adult population (2011-2015), Detailed geo-demographic brand profile and brand penetration analysis, Cellphone and Internet usage, and Shopping patterns.